Encontrei 12 Hotéis em . Escolha a data de entrada e saída para ver os hotéis disponíveis em . Sem informar as datas, os preços com (*) são preços médios de cada hotel e nos arredores até uma distância de 30 km. Offering a restaurant and a la carte restaurant, Pinewood Hotel is located in Owerri. Wi-Fi access is available. Rooms here will provide you with a tv, air conditioning and satellite channels. Featuring a bath or shower, private bathrooms also come with free toiletries and towels. Extras include cable channels. At Pinewood Hotel you will find an airport shuttle, a 24-hour front desk and a garden. The property offers free parking. Featuring free WiFi and a restaurant, Owerri Hotel Plaza offers accommodation in Owerri. The hotel has an outdoor pool, year-round outdoor pool and seasonal outdoor pool, and guests can enjoy a drink at the bar. Free private parking is available on site. Every room is equipped with a flat-screen TV with satellite channels. Some units feature a seating area where you can relax. Rooms come with a private bathroom. You will find a 24-hour front desk, a cash machine, gift shop and shops at the property. Car hire is available at this hotel and the area is popular for golfing. 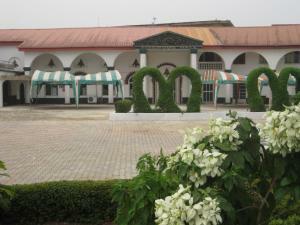 The nearest airport is Port Harcourt International Airport, 52 km from Owerri Hotel Plaza. Located in Owerri, 3.9 km from Rojenny Tourist Village, Greatwood Hotels Ltd boasts a restaurant and free WiFi. There is a water park on site and guests can enjoy the on-site restaurant. Free private parking is available on site. Each room at this hotel is air conditioned and features a flat-screen TV. Certain units feature views of the pool or city. All rooms include a private bathroom equipped with a bath. There is a 24-hour front desk, gift shop, and shops at the property. You can play table tennis at this hotel, and car hire is available. Port Harcourt International Airport is 53 km away. 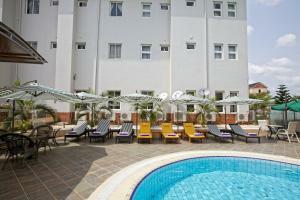 Offering an outdoor pool and barbecue, Transtell Suites & Serviced Apartments Owerri is set in Owerri. The hotel has a sun terrace and fitness centre, and guests can enjoy a meal at the restaurant. Free private parking is available on site. Transtell Suites & Serviced Apartme features free WiFi throughout the property. A TV is featured. You can play tennis and table tennis at the hotel. The hotel also offers car hire. The nearest airport is Port Harcourt International Airport, 51 km from Transtell Suites & Serviced Apartments Owerri. Featuring free WiFi and a year-round outdoor pool, H by Obidaya offers accommodation in Owerri, 5 km from Rojenny Tourist Village. Guests can enjoy the on-site restaurant. Free private parking is available on site. Every room at this hotel is air conditioned and features a flat-screen TV. Some rooms include a seating area where you can relax. Every room is fitted with a private bathroom fitted with a bath. For your comfort, you will find slippers and free toiletries. The hotel also offers car hire. The nearest airport is Port Harcourt International Airport, 51 km from the property. Offering a restaurant, Toprate Luxury Hotel is located in Owerri. Free Wi-Fi access is available. Rooms here will provide you with a flat-screen TV and air conditioning. Featuring a shower, private bathrooms also come with free toiletries and slippers. You can enjoy a garden view from all the rooms. Extras include a balcony, a hot tub and a seating area. At Toprate Luxury Hotel you will find a 24-hour front desk, a garden and a bar. Other facilities offered include a shared lounge, a games room and a ticket service. The property offers free parking. Offering a seasonal outdoor pool, barbecue and terrace, Oxygen Holiday Resort is situated in Owerri, 6 km from Rojenny Tourist Village. Guests can enjoy the on-site restaurant. Free private parking is available on site. Each room at this resort is air conditioned and comes with a flat-screen TV with cable channels and DVD player. You will find a kettle in the room. Rooms are equipped with a private bathroom. Oxygen Holiday Resort features free WiFi throughout the property. The resort also offers car hire. The nearest airport is Port Harcourt International Airport, 51 km from Oxygen Holiday Resort. Featuring free WiFi, a year-round outdoor pool and a barbecue, La Amistad Suites Owerri offers accommodation in Owerri. The hotel has a sun terrace and fitness centre, and guests can enjoy a meal at the restaurant. Every room has a flat-screen TV with satellite channels. Some units feature a seating area to relax in after a busy day. All rooms are equipped with a private bathroom fitted with a hot tub and bath. For your comfort, you will find bathrobes, slippers and free toiletries. The hotel also offers car hire. The nearest airport is Port Harcourt International Airport, 50 km from La Amistad Suites Owerri. Featuring free WiFi, a restaurant and an outdoor pool, Shelvac Hotel offers accommodation in Owerri. The hotel has a year-round outdoor pool and views of the garden, and guests can enjoy a meal at the restaurant. Free private parking is available on site. Every room at this hotel is air conditioned and comes with a flat-screen TV with satellite channels. Some rooms include a seating area where you can relax. You will find a kettle in the room. The rooms are fitted with a private bathroom. Extras include free toiletries and a hairdryer. This hotel has water sports facilities and car hire is available. 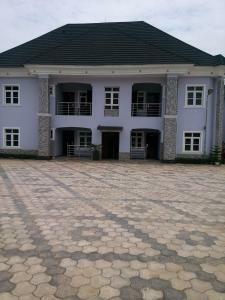 The nearest airport is Port Harcourt International Airport, 53 km from the property. Featuring free WiFi, a restaurant and a barbecue, Fullmoon Hotels offers pet-friendly accommodation in Owerri. The hotel has a spa centre and fitness centre, and guests can enjoy a meal at the restaurant. Free private parking is available on site. The rooms are fitted with a flat-screen TV and DVD player. Certain rooms have a seating area to relax in after a busy day. Enjoy a cup of tea while looking out at the pool or city. Rooms are fitted with a private bathroom equipped with a hot tub. For your comfort, you will find bathrobes and free toiletries. There is a 24-hour front desk and shops at the property. You can play darts at the hotel. The nearest airport is Port Harcourt International Airport, 51 km from the property.